On December 8, 2018, Pantone announced that PANTONE 16-1546 Living Coral would be its new colour of the year, describing the peachy orange shade as: “(A)n animating and life-affirming coral hue with a golden undertone that energises and enlivens with a softer edge”. Loud without being strident, bold without being harsh, Living Coral is funny, adventurous and open-hearted. Plan on incorporating this shade in all your 2019 events, pop-ups, booths, or exhibition stands if you want to impress and be bang on trend. It meshes perfectly with traditional and classic styles, but also matches ideally modern, cool or minimalist set-ups. For us, it’s a perfect shade to stylishly enhance any setting. 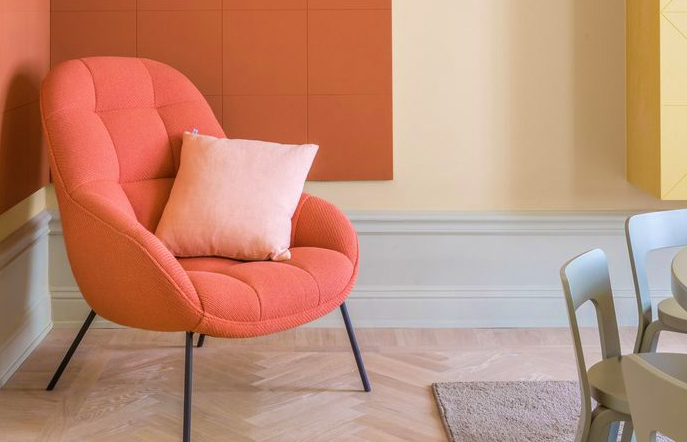 Use it as a subtle accent, accessories or lighting, to soften and lift other shades or cover big statement pieces in solid or patterned tones of Living Coral for a show-stopping impact. Use this shade in coloured mesh with string lights to create a subtle magical experience. Up the fun, with various sized balloons, streamers or confetti in this distinctive tone. Go luxe with hanging swirling floral green vines entwined with coral shaded blooms. Go all out covering the floors in painted planks or add coral shaded carpeting paired with solid monochrome furniture in brown or grey, and walls painted in a neutral shade. We love fabrics, textured and patterned. They add an extra element to any setting. Scatter plump plush cushions and pillows in this relaxing shade. Use it for curtains or drapes to set off white or blonde wood. Scatter across grey, or black sofas for understated elegance. Use illuminated furniture pieces for a subtle glowing peachy shade paired with white or brown furniture or against a darker more industrial background. Now this really will look like corals glowing under the sea. Transform any space with large statement furniture pieces, like a couch, sofa, or club chair, custom upholstered in Living Coral. Go with a solid shade for a more serious crisp professional look, evoke a rustic vintage feel with florals, brocade fabrics or strike a modern but unfussed look with abstract or geometric patterns. Pair neutral colour couches with chairs or poufs in this lovely shade. Use it for accessories and decorative elements, like painted woodwork panels, vases, lanterns, coloured glass pebbles or rugs. We like this colour to create a subtle ambiance. Use it in up lighting, spotlights and general room lighting. If you are holding an event where food is being served, consider using this essential shade for tablecloths and serviettes. If you don’t want to go all over coral, use it as a subtle touch in the table settings, for placemats, dishes, tinted glasses, candy or nut dishes, charger plates, or floral centerpieces. Living Coral can play formal and classic, or laid-back and relaxed. Use Coral coloured chandeliers or floor lamps as a must-see decorative element. Pantone’s 2019 colour focuses attention on nature and all its splendid inspiration. 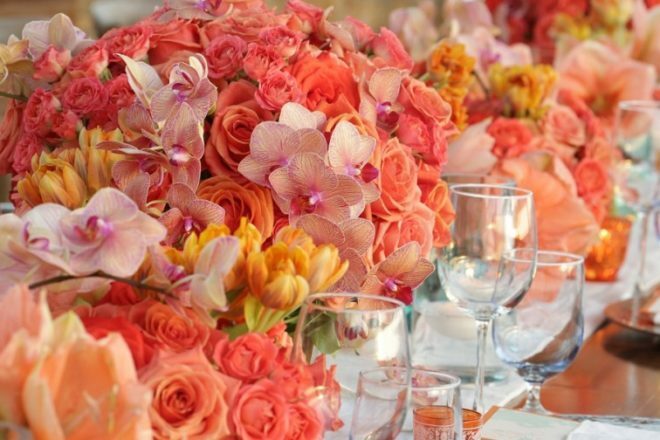 For a super luxurious event, use lush floral arrangements with masses of green leaves and lush coral, orange and pinkish flowers. Serving refreshments or a full meal, consider sweets and treats inspired by the colour of the year: pink lemonade, tropical juice cocktails, hard candies or macarons. Build coral coloured fruit baskets using mangos, papaya, apricot, peaches, pears or ice cream. Formal dining, think of smoked salmon, crab salad or lumpfish caviar. Create special seating areas using some of our lounge furniture in fresh white with coral accents, or evoke an Arabian theme tent, with rich reds and deep-sea blues, set off by Living coral accents. Eschew clinical white counters and go all in with Living Coral. Matched with white walls, floorings and wood furniture, it is all business but accessible. Or, go modernist with a coral and black checkerboard booth or display. 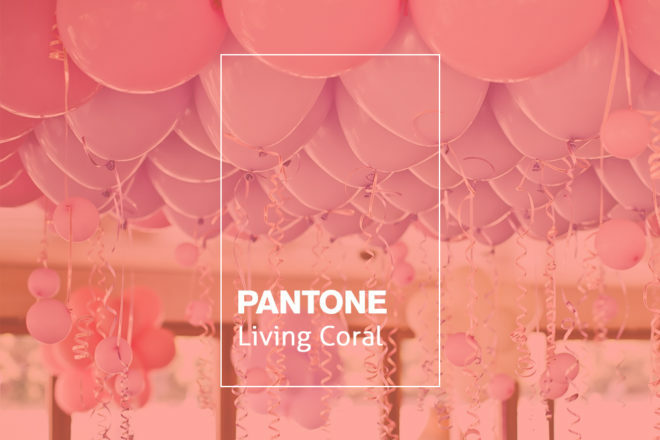 Pantone says that Living Coral is an excellent way to transform pop-up installations and interactive spaces like exhibition stands. It is a warm embracing shade that is daring, but never overpowers. Living Coral is a tone that easily complements different moods and enhances different types of experiences. With the proper use of this shade, it could complement Scandinavian décors, modern, urban, industrial, or more formal corporate scenes. It can even work outdoors and indoors, day and night! Best of all, it’s fresh but harkens back to a retro pop art 70’s vibe. 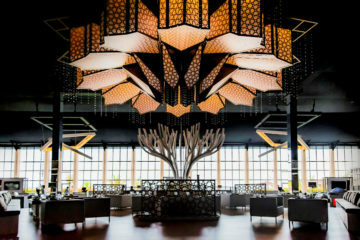 For Dubai events, it can be young, cool, but smoothly blend in with the deep rich tones of UAE’s Arabian heritage. Living Coral is human but connected to nature, light and happy, warm and welcoming. Above all in these increasingly complex times, it expresses a sense of optimism and purpose that we desperately need. 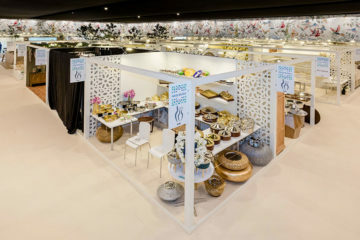 Use the colour to its best effect with bespoke furniture rentals, customising special pieces or constructing a unique pop-up, or distinctive exhibition stand. 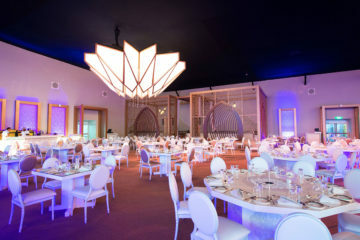 With the right use of this refreshing shade, you can definitely up the bar of an outstanding event venue.